Digital Drawing: Hot air balloons have been a means of traveling and of having fun for decades now. They are a cool invention that lasted from long times ago until nowadays. 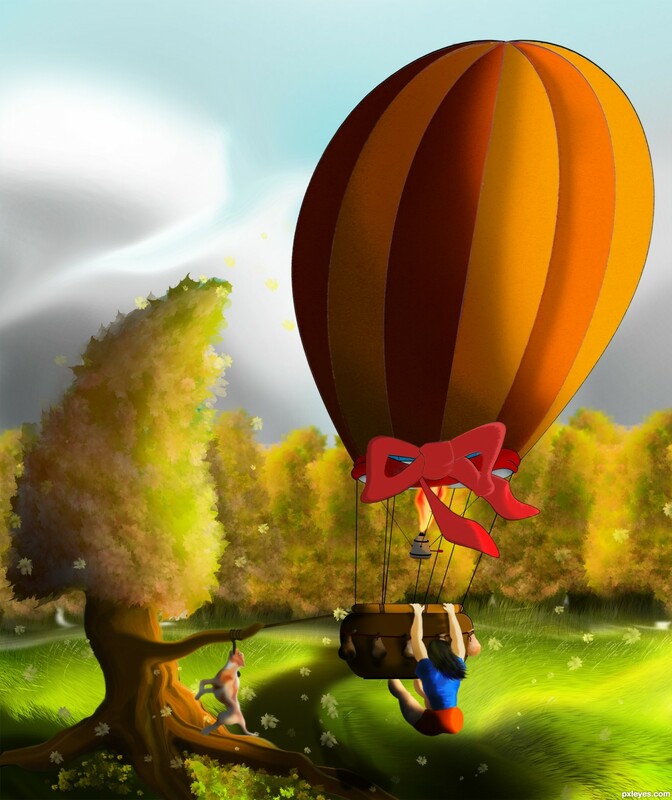 So let's digitally draw some hot air balloons for fun! 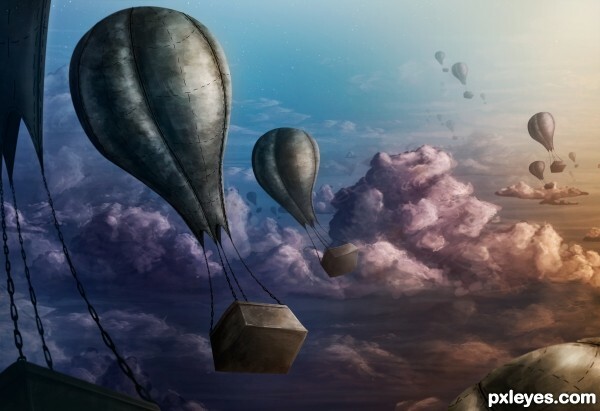 Your image can show one or more hot air balloons, in flight or preparing to take off. It doesn't matter as long as they stay the main focus of your creation! Let the creativity fly! This is stunning. Great mood and depth, I love the clouds and the muted color palette. Well worth the time you put into it. Congrats! This has a great feeling of motion, virtually pulling the viewer into the work...very well done! Thanks guys I really appreciate the comments Glad I could pull you in Spaceranger! Nice work, very creative and cute! Nice Author! Thanks for support me... Lol! GL, Author. Let's see if I could save my free time to join this competition within the last minutes of contest dateline. That's very good, well done! 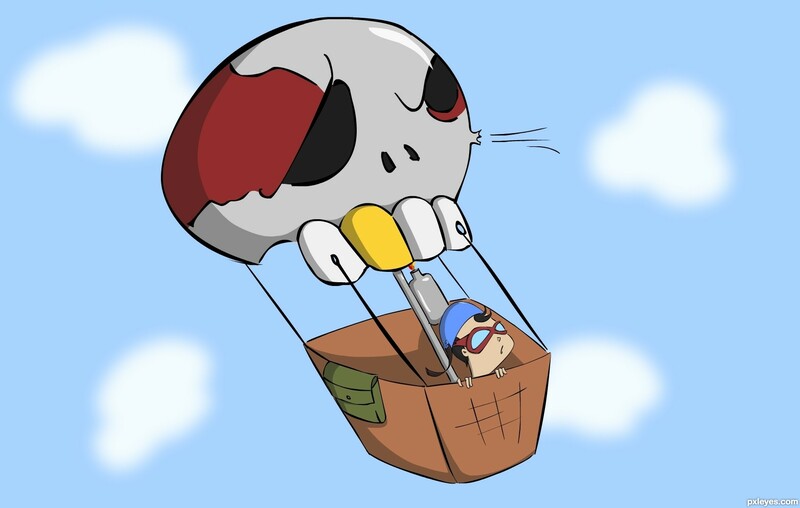 Home » Drawing Contests » Air Balloons » Woah! hehe .. thanks folks ! ! ! Haha !! coooool work dude !! Nicely done without being too complex. Great depth and values! Wonderful !! and looks sooooo sweeeet..Great job author !! 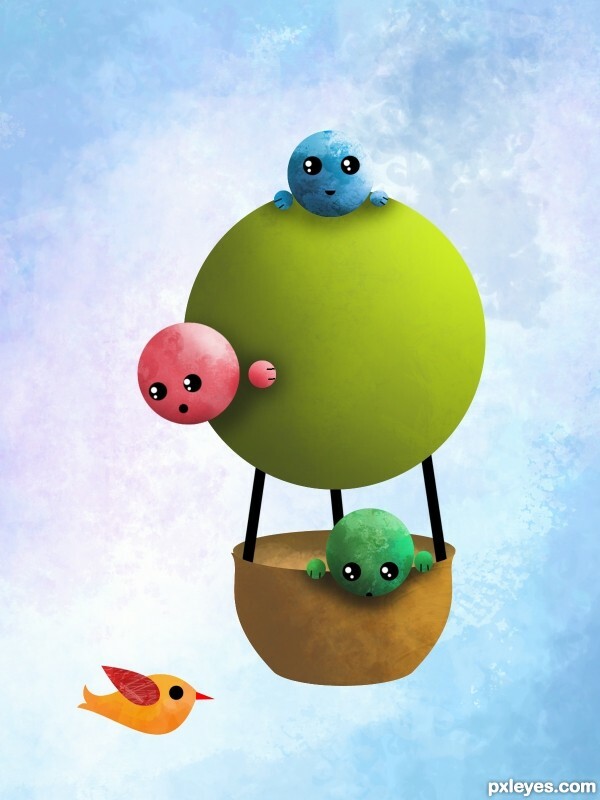 very cute work .. awesomme ..
Sweet concept, wonderful execution! The back story is adorable. Home » Drawing Contests » Air Balloons » westward huh?! 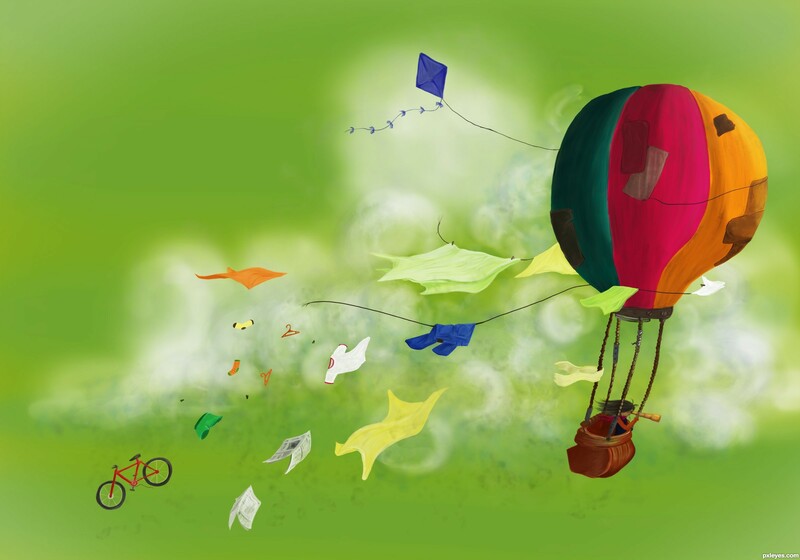 Fun image, especially the bicycle and the broken laundry line. The basket tear is a bit hard to make out, but a great idea, nonetheless! nice work again, like your stuff.